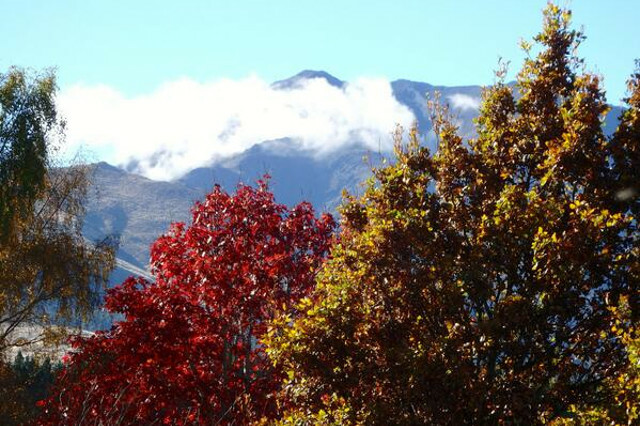 NO chemicals, drench, dip, vaccines or artificial fertilisers used on our Mangapiri Downs organicstud farm® since March 1989. That's over two decades of completely chemical free breeding, so you can benefit from many generations of organic sheep stud breeding. It’s very satisfying producing the types of hardy organic livestock I would have liked the opportunity to purchase when I started converting the farm to organics. Perfecting the art of organic breeding since 1989. I have worked with many breeds of sheep over the years and am particularly pleased with the NZ Marsh and Wiltshire breeds which have helped us due to their organic qualities, such as high natural immunity and fertility and fast growth rates. Our favourite breed is our organic SHIRE® Breed. 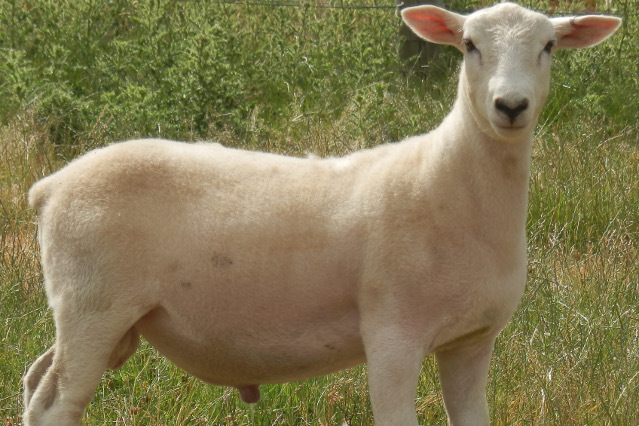 The perfect Organic terminal sire and woolless Hair breed for rapid growth, natural immunity to parasites, no dags, high fertility, less sheepwork, and exceptional lamb flavour and texture. Our favourite breed is our new organic SHIRE® breed - the perfect Organic terminal sire and woolless hair breed for rapid growth, natural immunity to parasites, high fertility, reduced workload, and exceptional lamb flavour and texture. No drenching, vaccinating, dipping, dangerous dagging or costly shearing required! 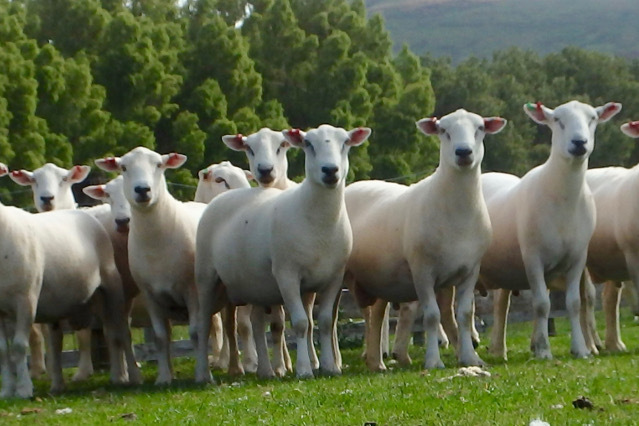 SHIRE® Sheep are intelligent and agile, moving quickly and easily through rough terrain. It’s a very hardy NZ breed. SHIRE® meat yields are high and restaurants favour the very tasty fine textured SHIRE® lamb. The SHIRE® breed puts all its energy into producing meat! We've named and registered the Trademark SHIRE® sheep breed. Read about the Wiltshire and NZ Marsh breeds below to learn about where the breed SHIRE® originated. Selling now. Wiltshires are an old, hardy and easy-care breed, unique in that they grow very little wool (shedding in Spring/Summer). We established our flock in 1987 after seeing them in England. The Wiltshire Horn descended from the Persian Hair brought to Britain by the Romans as the first British meat sheep. In the 18th century the Wiltshire Horn was the most numerous sheep in Britain with total numbers in the millions. It’s the origin of other breeds including Hampshire, Oxford, Dorset Horn and the Leicester breed. After my uncle Scott Dolling and I discovered some original hair sheep in my Wiltshire stud flock, I bred up an interesting hair strain of Wiltshire (like its ancestor – the Roman’s Persian Hair sheep), from our Organic hair Marsh & Wiltshire base. We produced our trademarked SHIRE® breed. Selling now. 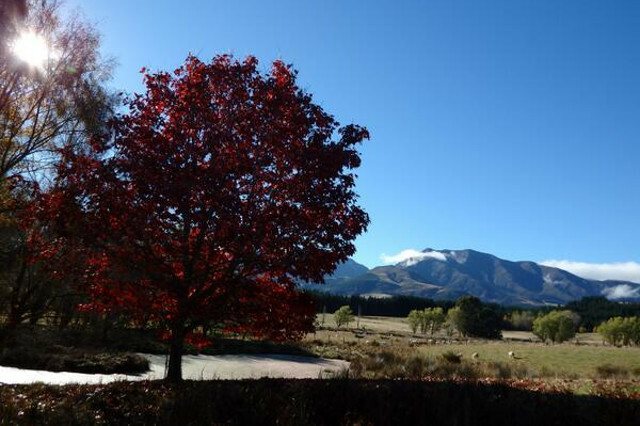 Mangapiri Downs: Home of the original Tufty® cattle stud. 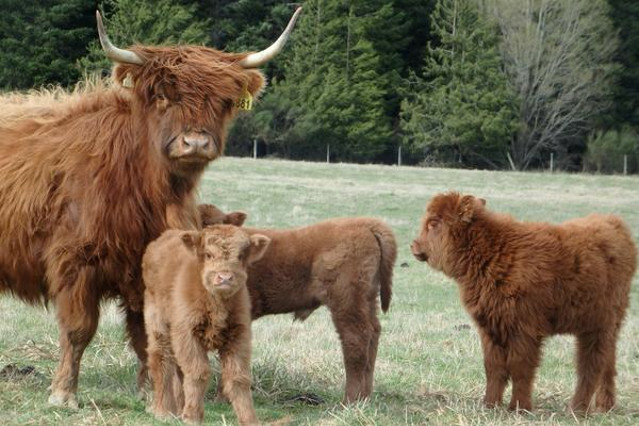 A new polled cattle breed created from full blood Highland cattle. Hardy, Hairy, Happy Tufty® cattle are unique, curious, friendly, easy calving, good mothers and quickly become part of the family. 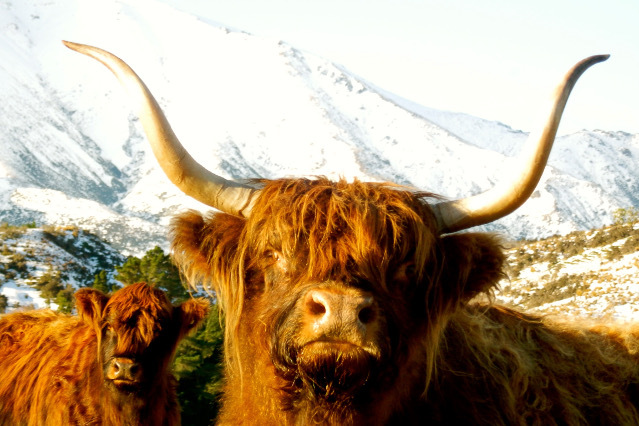 If you have horned Highland cows use Tufty® bulls to poll your fold/herd and to make them a safer breed to work with. 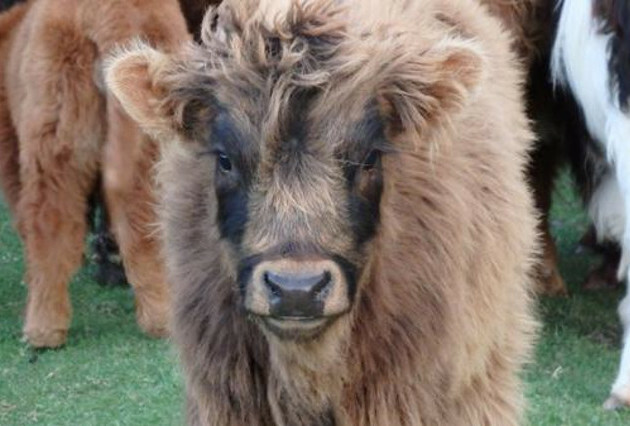 Hardy, Hairy, Happy Tufty® cattle of all colours available for sale. 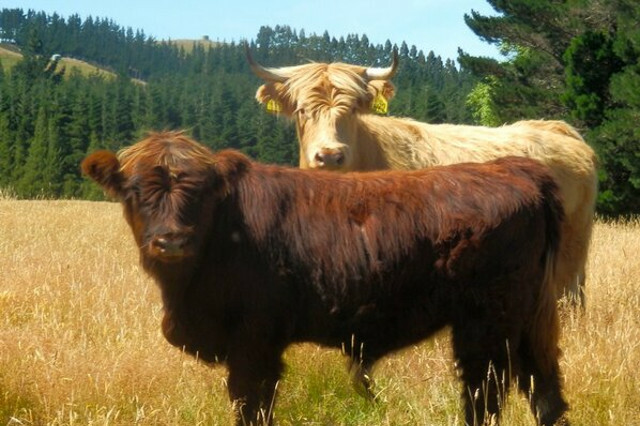 They can make great pets or breeders of top quality beef for restaurants that are easy to transport to anywhere in NZ. Learn more. 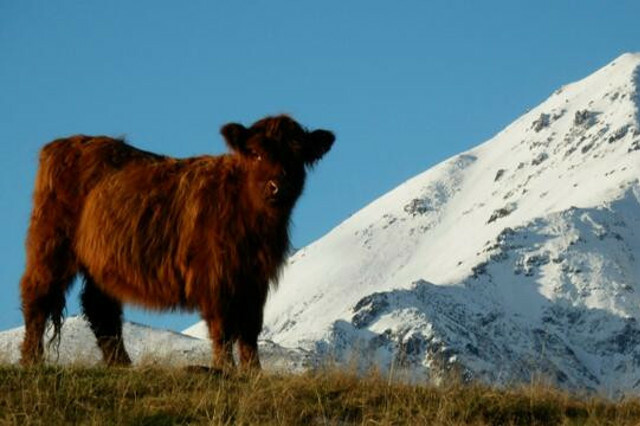 We are foundation breeders of Highlands in NZ, establishing our Western Highland stud (Hardy, Hairy, Horny®) in the 1980s. 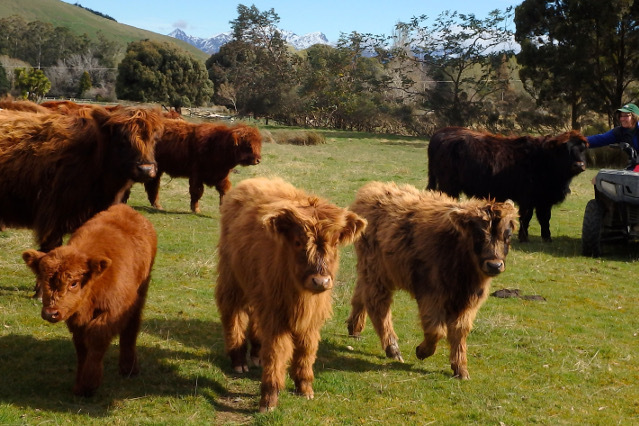 We built it up to be the largest Highland herd in NZ (over 700 head). Being one of the oldest Hardiest cattle breeds there is they suit organic farming. 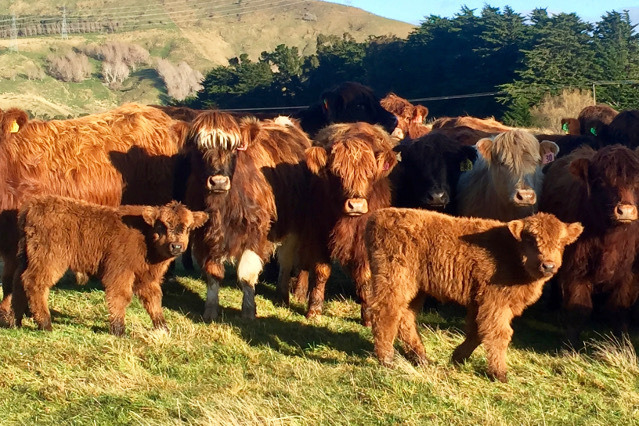 With these numbers, we were lucky to breed some Highlands with stubs and smaller horns over the next decades that stud societies say you must cull. We decided not to cull them and instead kept those bloodlines in order to breed different bloodlines of polled Highlands (The Tufty® breed seen above). Learn more.